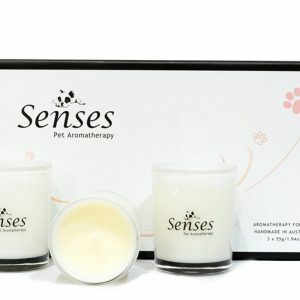 Senses Diffusers are made with natural base oils and fragranced with pure essential oils. Environmentally friendly and safe for your pets. A rejuvenating ‘pick me up’ with pest repelling essential oils this blend of Clary Sage, Aniseed, Lemongrass, Bergamot, Peppermint and Grapefruit will help energise, invigorate and keep your pooch feeling refreshed. *Senses Pet Aromatherapy proudly supports Brunswick Industries/Melbourne – Brunswick Industries Association is a leading employer of people with disabilities. Love the smell of the diffuser. It’s comforting knowing that it is all natural and I’m not subjecting my dog to unnatural chemicals. Hope that you can release some new varieties soon, will definitely buy them all! I’ve bought both the candles and the reeds and I love them both! Lovely scent combinations and it’s helped my two white fluffies relax more during events like storms. It gives me a sense of security when I have the reeds out while I’m at work knowing my dogs would be nice and calm. Well thought out products!! I’ve been an avid user of aromatherapy products for many years. 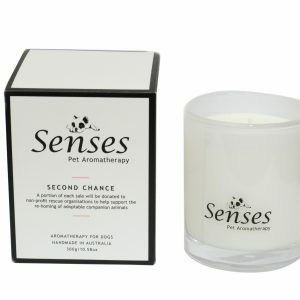 I came across Senses Pet Aromatherapy by chance, and thought I’d try one of their Reed Diffusers. Whenever I walk by it, there is a subtle scent that is not overpowering like some of the others in the market. The fragrance is gentle and promotes a feeling of peace – just what we all need in our busy lives. Most importantly, I see the difference it’s made to my dog who seems to be calmer and not as highly strung as she used to be. I would highly recommend the diffuser to all animal lovers to try. Even if you don’t have a pet, you can still benefit from this product. Place it in your living or family room where your family and friends will be sure to benefit from the lovely perfume. It would make an ideal Christmas present.